In March, we updated our post, On Page SEO: The 12 Key Steps To Optimize Your Real Estate Investor Web Pages. But while some SEO happens onsite — with keyword placement and internal links — the majority of SEO magic takes place elsewhere. At a little place called off-page SEO. But what is off-page SEO for real estate investors and how can you use it to get a higher website ranking — meaning more traffic, leads, and conversions? 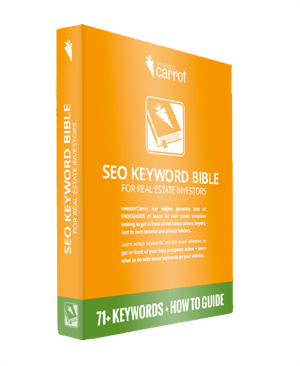 What Is Off-Page SEO for Real Estate Investors? Off-page SEO, defined loosely, is anything you do to improve your rankings that’s not on your website. Some of the most popular off-page SEO tactics include backlinks, citations, and relational marketing. Backlinks are when another website links to your website, which tells Google that you can be trusted. Citations are consistency between your business name, phone number, and address across multiple databases. This tells Google that your business is up-to-date and relevant. Relational marketing is staying active on critical platforms for your industry to increase the number of people who are familiar with your brand. Every time someone goes to your website and browses, it tells Google that someone trusts you and it helps your rankings. But how, exactly, do you implement these real estate off-page SEO techniques to reap the rankings of a pro? Here’s 4 critical real estate investor off-page SEO tactics. Know what keywords you’re targeting and how you’re currently ranking for those keywords before you try to improve. Without a metric to measure against, you won’t know what improvement looks like. If you’re not a Carrot member, simply open an incognito browser window (to disregard your personal cookies) and search for the keywords that you’re aiming for. Depending on how diligent you’ve been in optimizing your rankings, you might have to click through a few pages. But don’t get discouraged. That’s why you’re here, right? If you’re a Carrot member, you have access to our keyword tracker. Just go into your Carrot dashboard and click on rankings on the side. Then add a keyword you’d like to track — we’ll do all the heavy lifting, updating weekly to let you know whether you’re going up or down through the rankings. 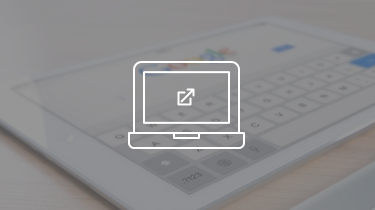 Note: To find out more about our keyword ranking tracker, check out this in-depth post. Citations are a staple of local SEO. 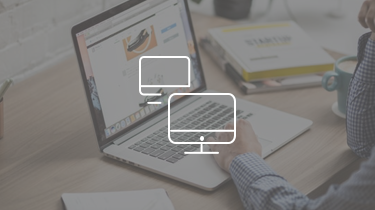 Citations — sometimes referred to as social signals — are the information about your business you put into different online consumer-reference sites. Superpages is an example of a yellow-pages-type website that uses citations regularly. Social media business accounts, like your Facebook business page, are also citations. Your name, phone number, and address need to be the same on each website. This tells Google that your business is active, updated, and relevant. 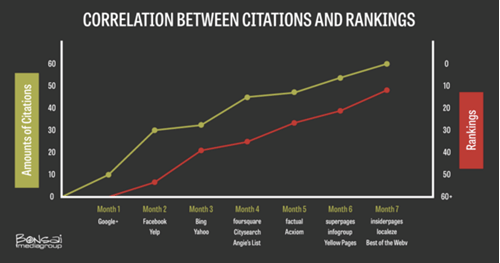 Generally, the more matching citations you have, the better you’ll rank. There’s two ways to go about this. You can do it yourself (for an in-depth guide on exactly how to do it yourself, click here). Or Carrot can build the citations for you. Click here to find out more about our citation building service. Backlinks are when another website links to your website. When they do, this tells Google that the other website trusts you — which is good for your rankings. If you’re in a competitive space, backlinks often make the difference between a result-one ranking and a page-one ranking. But getting backlinks takes work. There’s a few different techniques you can use but the first thing you should do regardless of your technique is make a spreadsheet of the blogs, podcasts, and websites you’d like to collaborate with. Include their name, contact info, niché, number of followers, and any other information that’s relevant. Use this as your database for people you’d like to get a backlink from and then use the below techniques to actually do so. Guest posting is a great way to acquire backlinks. Remember that the person you’re pitching has an audience of their own. The topic and angle you propose should be a perfect fit for their audience. When you email them, emphasize the benefit they’ll get by having you as a guest. I absolutely loved your recent [type of content] about [subject of content]. In particular, I loved the part where you discussed [something specific you liked]. That’s really relevant to where I’m currently at in my own business ventures. So first off, thank you. Second, I was wondering if you’d like to collaborate. I’m a real estate investor in [your city] with [tell something compelling about yourself — i.e. X amount of followers. X amount of deals. X amount of revenue]. And I think a topic about [pitch your topic] would be super beneficial to your audience. I’d love to make this happen for you. Once they agree to your topic, if it’s a podcast, just ask them if they’ll include a link to your website in the description of the podcast. If you’re writing a blog post for them, you can include a link to your website in the author bio or in the post itself. Just make sure you respect their website rules. The other way to acquire backlinks is to create a high-level piece of content on your own website and then ask other relevant websites to share and link to it. Consider creating either an infographic or a blog post. For an infographic, you can create your own at Canva or Venngage and check out our post here to get topical ideas for your infographic. Or you can hire someone at Fiverr or 99designs to do it for you. Second, I just created a [blog post or infographic] on [topic]. You can check it out here [link]. I think this piece would be super relevant to your audience and I was wondering if you’d be willing to share it on your blog. If you’d like, I can write up an introduction for you as well. But you can monitor mentions of your brand name across the web. In other words, whenever people are talking about you online, you’ll be able to see it and engage with it (unless it’s in a private messenger). How? You can subscribe to a service like TalkWalker or Mention. These places will monitor a huge portion of the internet and notify you whenever your brand name is mentioned. You’ll then be free to go engage in the conversation at your own pace. Doing this will not only help you interact with the people who are talking about your brand, it will help you find people who are referencing you on their blog as well. If you notice that someone referenced you on their blog but didn’t link to your website, track down their contact information and ask them to throw in a link. Would you be willing to add this link to your blog post so people can find my stuff from your piece: [link]. Most people will be more than willing to add your link to their website when you ask. Be aware of the difference between “do-follow” links and “no-follow” links. Some websites use “no-follow” links. 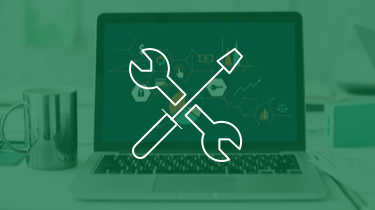 This means that the link to your website will still work for anyone who clicks on it, but the link is formatted to intentionally tell Google not to count the backlink toward your domain authority. Some websites use this because linking to low-domain authority websites can actually hurt the ranking of their own website. To find out, ask the website coordinator that is going to link to you if they use “no-follow” links or “do-follow” links. “Do-follow” links are the best. Note: No-follow links aren’t useless. For one, they still get your website in front of a new audience. And there’s even some recent data that Google is listening less and less to no-follow links. It seems that no-follow links can still improve your rankings — just perhaps not to the same degree that do-follow links would. This one doesn’t directly impact your SEO, but it does get people to know you’re a real estate investor in the area. A good rule of thumb is to designate at least one hour every week to doing nothing but engaging with people. That engagement can be online or offline, but for local SEO, it’s probably best that it be with people in your community. This could be as simple as going to a coffee shop for an hour every week and talking with the people there so that you can build valuable relationships (bring business cards). Or you could join your city’s chamber of commerce and spend time with them every week. 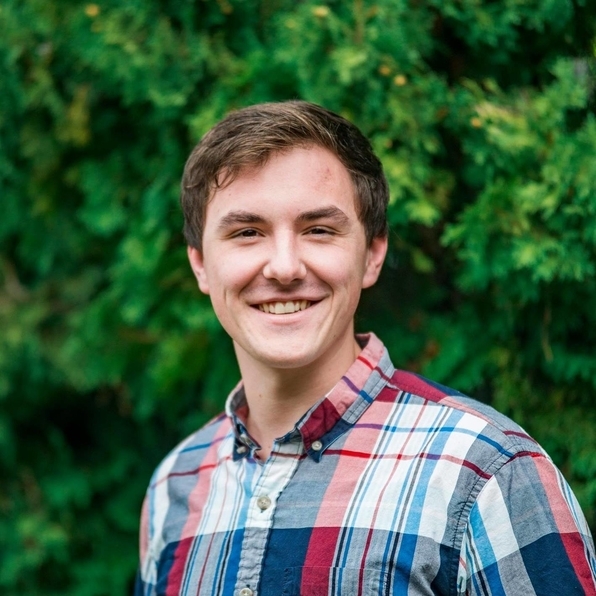 Side-Note: For 4 years, I was in full-time ministry. My life was literally a series of going to coffee shops and spending time with people. I can’t fully articulate the power and depth of that time. You’ll be amazed at what you learn about people and how many friends you make in the community. If you decide to spend that hour online, try to find out where local people spend their digital time. Is there a Facebook group that is active in your town where you could socialize? Or you could use the hour to scroll through your social media feed and comment on other people’s posts. Whatever you decide, remember that this hour isn’t for selling anything, it’s simply to build lasting relationships in your community that will likely pay you off later. When off-page SEO is up to bat, you need to be patient. It takes time for Google to analyze your website and figure out who is linking to you and what kind of ranking they should assign you. It takes time for you to build the authority required for Google to rank you well. And it takes time to generate enough quality content that Google recognizes you as an expert in your field. Know how you’re currently ranking. Over time, your rankings will increase.